Its hard to describe the impact the travels in Japan have had on me. It was an amazing journey. On so many levels it was inspirational-and the friendships I made are at the top of these experiences! In a series of blog posts, I plan to share the highlights with you. From traveling with a band to Japan’s largest rock festival, to picking up sea glass with a wonderful local guide (and friend! ), the trip included many milestone moments. So let this brief post serve as a prelude to much more-as soon as I get back down to earth! 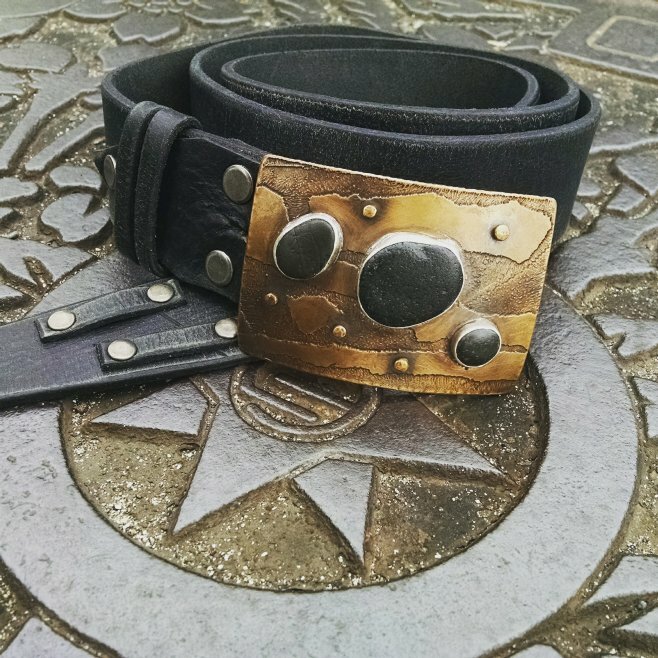 Tokyo manhole cover and made in Tokeland belt-a match made in heaven! 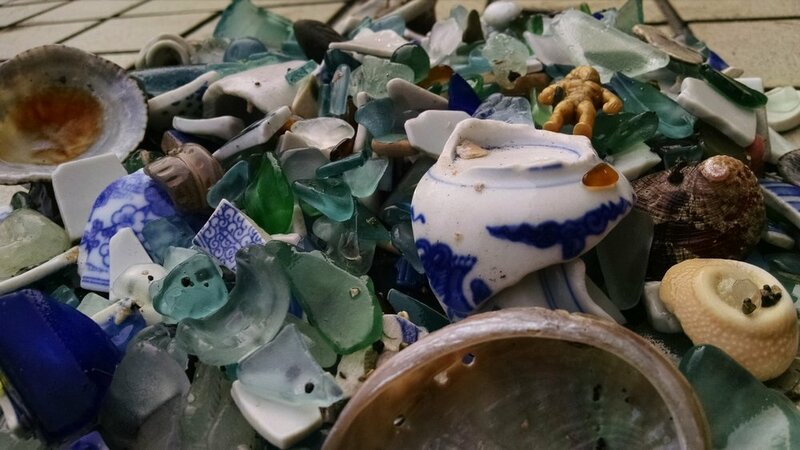 Sea Glass finds from a Japanese fishing cove. 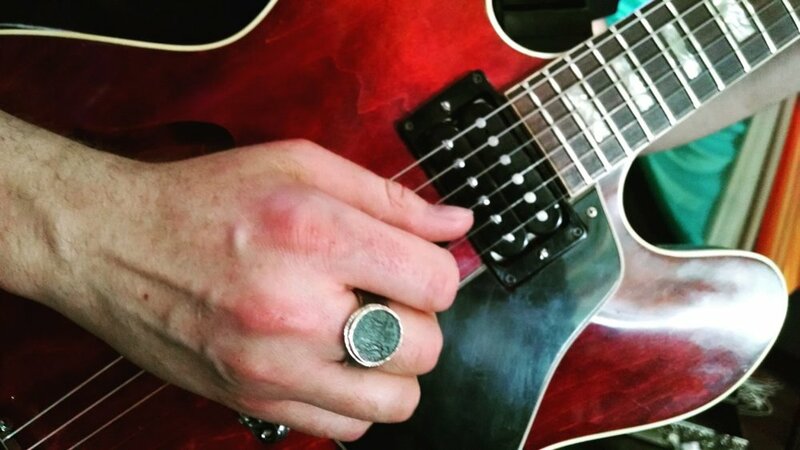 Jared Meeker rocking one of my ancient coin rings at Fuji. This entry was posted in Uncategorized and tagged belt buckes, fujirock, handmade, japan, judith altruda jewelry, mens fashion, rock festival, sea glass, travel on August 14, 2016 by Judith Altruda.